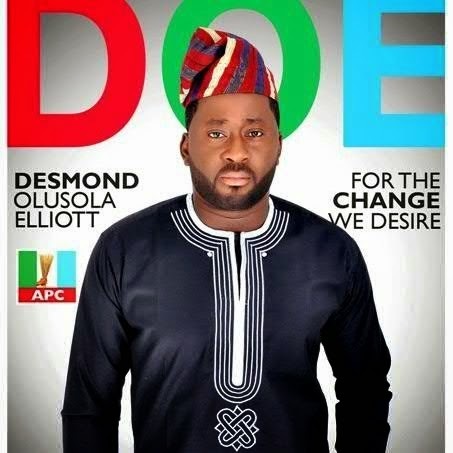 Desmond Elliot, who recently released his campaign posters bearing middle name "Olushola", was criticized by Fans for trying to bear and act like a Yoruba Man so he could contest for the 2015 Elections in Lagos State for a seat of House of Assembly Member. Desmond's fans never new he was a Yoruba man because he has never being seen in Yoruba Movies. Desmond Elliot, Speaking with City People, defended himself.